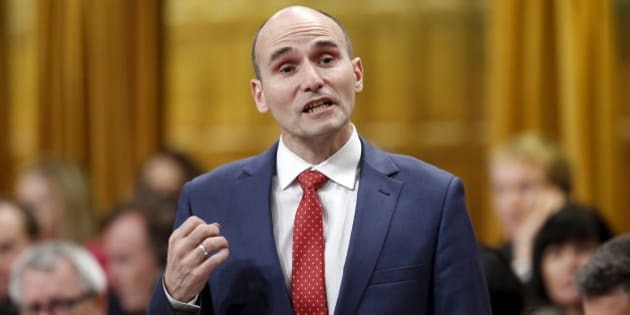 The recognition of housing as a human right by Minister Duclos' office could be the turning point -- not just for how we view housing, but for poverty and other economic rights violations as well. To see housing as a right looks beyond the physical structure of a shelter to a number of other factors: access to sanitation, location, and access to services or employment, community, security of tenure, and cultural adequacy, as well as other rights such as health, life and dignity. Housing is a hot topic in this country no matter where you live. The details of the conversation may shift depending on where you are, but across the country, these discussions reveal common threads: affordability, community, inclusion. With all of the news pointing to the financialization of housing, foreign investment, and skyrocketing unaffordability, it sometimes feels like a sector spiralling out of control, subject to the whim of developers or political priorities. Housing in Canada needs to be reigned in and the federal government is ready to be at the table. Minister of Families, Children and Social Development Jean Yves Duclos, choose National Housing Day to release his report on the consultation process for the upcoming National Housing Strategy. Aptly titled "What We Heard: Shaping Canada's National Housing Strategy," the report delves into key themes identified by over 7,000 respondents and experts as important aspects that should be included in the developing housing plan. In sharp contrast to what is happening south of the border, a majority of people noted that more affordable housing and "helping those in greatest need" were important for the plan. In fact, over one-third of participants want the government to prioritize individuals with 'distinct housing needs' in the housing strategy, which includes people living in low-income. Most importantly, the right to housing and the value of a human rights approach was featured as a 'priority area' the government was considering for the strategy. While it is only words on paper at this point, actually creating a rights-based national housing strategy and stating this right publicly is a major achievement for economic and social rights in Canada. Often overlooked and ignored, the right to an adequate standard of living -- think food, housing, and income -- has yet to be realized in this country even though Canada has signed on to multiple international covenants that affirm this right. During a review of Canada's economic and social rights in 2006 inadequate housing and homelessness in Canada was referred to as a "national emergency" and yet follow up action was minimial. Both the United Nations and organizations within Canada have long asked the federal government to live up to its international human rights obligations to no avail. If the federal government wants to be a human rights leader internationally, now is the time to demonstrate their commitment here at home. The recognition of housing as a human right by Minister Duclos' office could be the turning point -- not just for how we view housing, but for poverty and other economic rights violations as well. To see housing as a right looks beyond the physical structure of a shelter to a number of other factors: access to sanitation, location, and access to services or employment, community, security of tenure, and cultural adequacy, as well as other rights such as health, life and dignity. It means seeing a homeless person and moving past the initial impulse to blame the individual to a recognition that homelessness is a symptom of government failure to protect rights. It means working with all levels of government to ensure adequate resources for housing with a long-term vision by setting goals, targets, timelines, and accountability mechanisms. It means immediately addressing any discriminatory policies and meaningfully consulting the people affected throughout the plan development and implementation process. It means considering the most vulnerable people in our society and tailoring a strategy to address their needs. This will require consideration for, and consultation with, youth, indigenous peoples, women, and seniors, among others. Following through on a promise made in his mandate letter, the Minister is set to unveil the final plan next year, and it's about time. Canada has its share of housing challenges: over 235,000 people are homeless annually, 1.6 million are in core housing need, and 18 per cent of all renters are facing severe housing affordability issues. 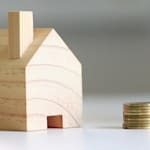 Across the country provincial/territorial and municipal governments have been bearing the weight of responsibility towards housing after the federal government stepped away in the early 1990s. While some regions have yielded greater success then others, without federal leadership and a coordinated approach based in human rights, these numbers are not likely to improve. Details of the housing strategy are yet to be hammered out, but people in Canada have spoken and their voice is clear: rights matter. Let's hope the government is listening.